A company that has served over 300,000 businesses and institutions in all industries, including 477 of the Fortune 500, 93 of the largest universities, the White House and Pentagon, as well as thousands of small businesses, might choose to solely rely on word-of-mouth sales and marketing. Not National Business Furniture (NBF). For a 35-year old supplier of over 50,000 office furniture and accessory items, NBF refuses to rest on its laurels. The company aspires to continually beat its own customer service records, break into new markets and add innovative product lines to its roster. The company recently embarked on a content marketing pilot program to test how market-savvy content could create awareness and build trust within one of its key specialty markets – healthcare and medical furniture and equipment. 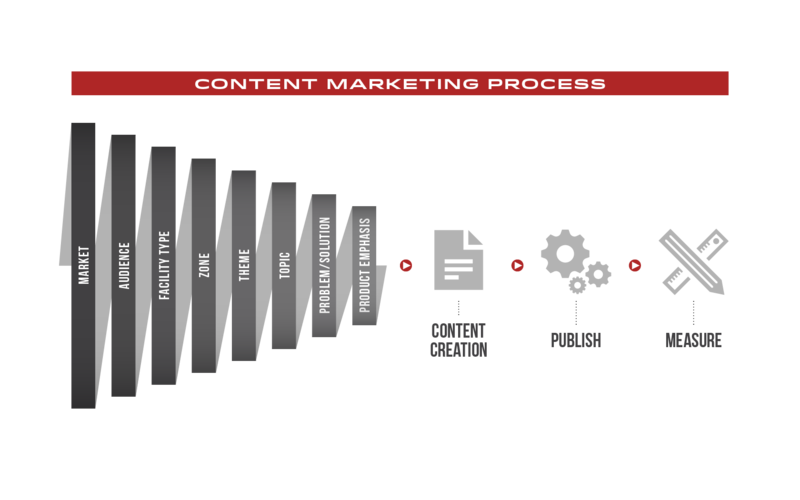 JD implemented its content marketing process to create a wide variety of content pieces to test and measure. With titles including How To Choose The Right Nursing Workstation ; Mastering Nursing Workflow Efficiency: Understand Your Product Options; Winning At The Waiting Game: How To Create Comfortable & Functional Waiting Room Spaces; The Anatomy Of A Recovery-Promoting Patient Chair; and Hospital Patient Room Seating: Promote Faster, Safer Patient Recovery With Smart Patient Chairs, JD addressed industry issues with three healthcare-focused white papers, several trend articles, a Slideshare, landing page and an interactive guide. Take a closer look at the deliverables tailored for this market-specific content marketing program.